Entrepreneurship, personal responsibility, and upward mobility: These traditions are at the heart of the free enterprise system, and have long been central to America's exceptional culture. In recent years, however, policymakers have dramatically weakened these traditions-by exploding the size of government, propping up their corporate cronies, and trying to reorient our system from rewarding merit to redistributing wealth.In The Road to Freedom, American Enterprise Institute president Arthur C. Brooks shows that this trend cannot be reversed through materialistic appeals about the economic efficiency of capitalism. Rather, free enterprise requires a moral defense rooted in the ideals of earned success, equality of opportunity, charity, and basic fairness. Brooks builds this defense and demonstrates how it is central to understanding the major policy issues facing America today.The future of the free enterprise system has become a central issue in our national debate, and Brooks offers a practical manual for defending it over the coming years. 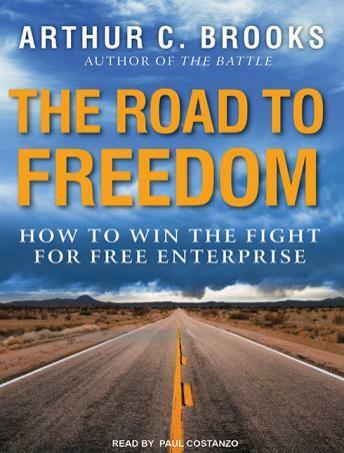 Both a moral manifesto and a prescription for concrete policy changes, The Road to Freedom will help Americans in all walks of life translate the philosophy of free enterprise into action, to restore both our nation's greatness and our own well-being in the process.